Want to know how to delete photos on Android? Check this guide to easily remove one single picture, or multiple ones, or even all of them from your Android phones and tablets. 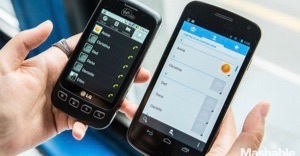 Android phones and tablets probably are the most common and popular life recorders in these days. The reason is the camera. With it, you can save every memorable moment of your life in a photo, no matter happy or sad, no matter young or aged, no matter at work, or on a holiday, etc. However, as you take more and more photos on your Android, one issue, which almost every Android user will encounter, occurs – storage running out, or some of your photos on Android are too personal and need privacy protection. Under such situations, what you need to do are firstly transferring these important photos to somewhere, like your PC/Mac computer, and then deleting photos on Android. And so, in this tutorial, we will share 4 methods to help you delete photos on Android, singly, multiply, and all, with ease. Check them now and choose the perfect one. In Android Camera app, users can view one thumbnail at a time, and remove it. Just as we have said before, you can only delete one picture at a time with this method, if you are looking for the way to delete multiple or all photos on Android, please move to the best answer Method 4 . Step 1Open the Camera app on your Android device. Step 2Tap the photo thumbnail or back arrow. Step 3Tap Delete menu – a trash icon at the bottom of the screen to remove the pictures on Android. Gallery app is the default place where you can find all photos taken by the camera and other pictures from other sources. In this app, you can choose as many as you want to delete, not a picture at a time anymore. Step 1Launch the Gallery app. Step 2Tap the Menu button. 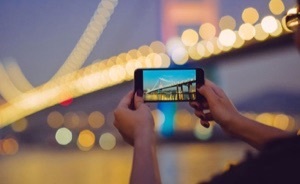 Step 3Choose Camera Roll to access all of your picture on Android. Step 4Tap the three-dots button > Choose Select > Check the photos you want to remove from Android. Step 5Tap the trash icon and click OK to confirm. This way would be a perfect choice if you only have dozens of items to remove. While if you have hundreds and thousands of pictures to delete, or all, selecting manually would be a huge amount of work to do. But you can move to Method 4 to get rid of such problems. 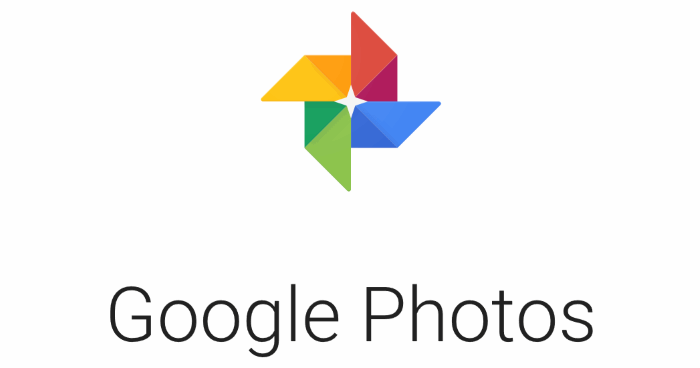 Google Photos is a photo sharing and storage service developed by Google. 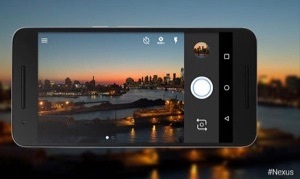 With it, you can also achieve the goal of Android photos deleting selectively. Step 1Open the multi-colored pinwheel app. Step 3Choose Select to check the photos you want to delete. Step 4Tap the trash icon, and click Move to trash button to start deleting. Google Photos app is just like the Gallery app, and you can selectively choose some of your pictures to remove. But if there are hundreds and thousands of items on the list, we recommend you choose Method 4 below as the perfect solution. AnyTrans for Android is a professional Android data manager. 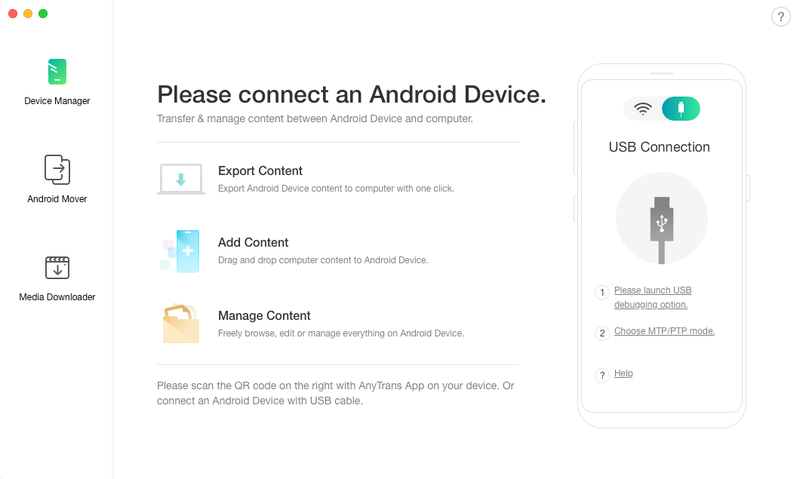 With its help, you can perfectly put your Android data right at the place you want. And deleting photos on Android would be an easy thing using it. 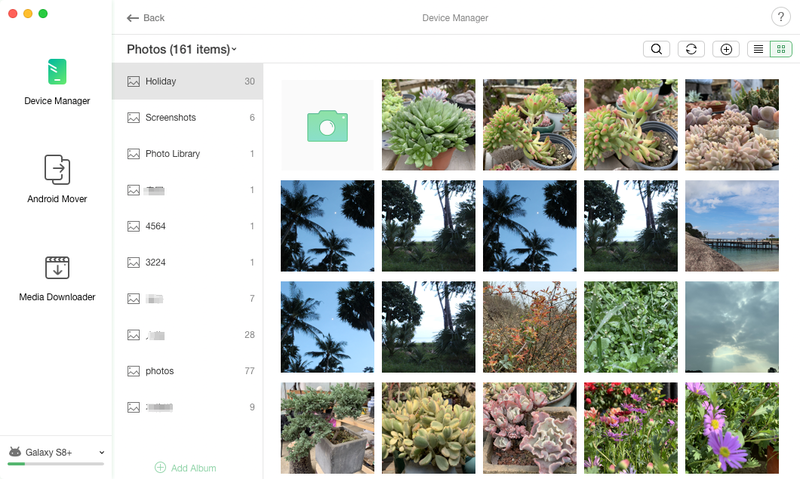 All of the photos on your Android will be displayed in albums, and you can easily find what you want. 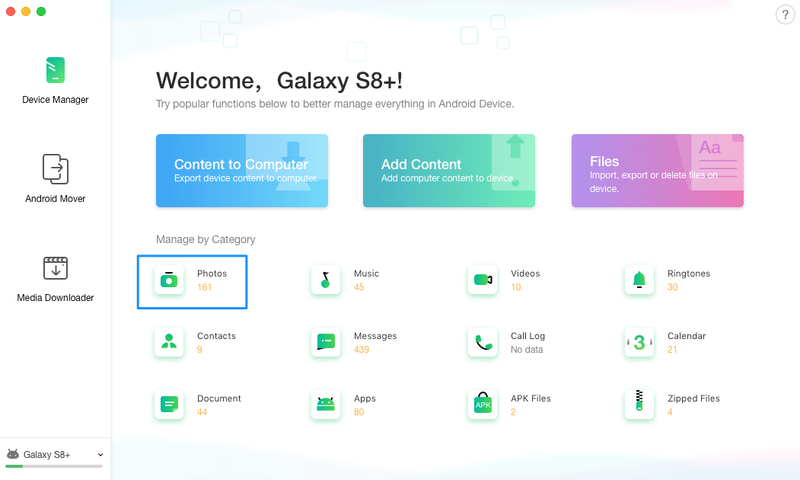 Unlike the three ways above, AnyTrans for Android does not only support deleting photos on Android singly and selectively but also remove all items at one time. Why not give it a try, and follow the steps below to start the job now? Step 1Run AnyTrans for Android on your computer > Connect your Android device to it. Step 2Scroll down to the category page > Choose Photo Library. Step 3Then all photos on your Android will be displayed with album names > Select the photos you want to remove > Click the trash icon to delete the selected pictures. With these four methods above, you can totally complete the job of deleting photos on Android. 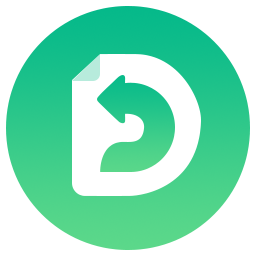 While we sincerely recommend the fourth way as the best choice, since with it, you can delete photos on Android, singly, multiply, and even all, in 3 steps. Why not give it a try right away?